Hi, Good Morning. Thank you, friends and viewers. 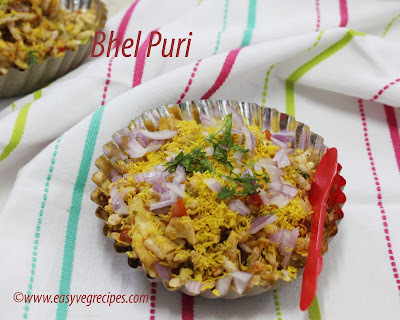 Todya I will post how to make bhel puri recipe. I am fascinated by certain names like pav bhaji, paneer, masala dosa, uttappam, irani chai(very famous in Hyderabad) with osmania biscuits, falooda,bhel puri and the list goes on.. Somehow it drools in my mouth when I heard these names. Some I have them regularly and some very rarely. 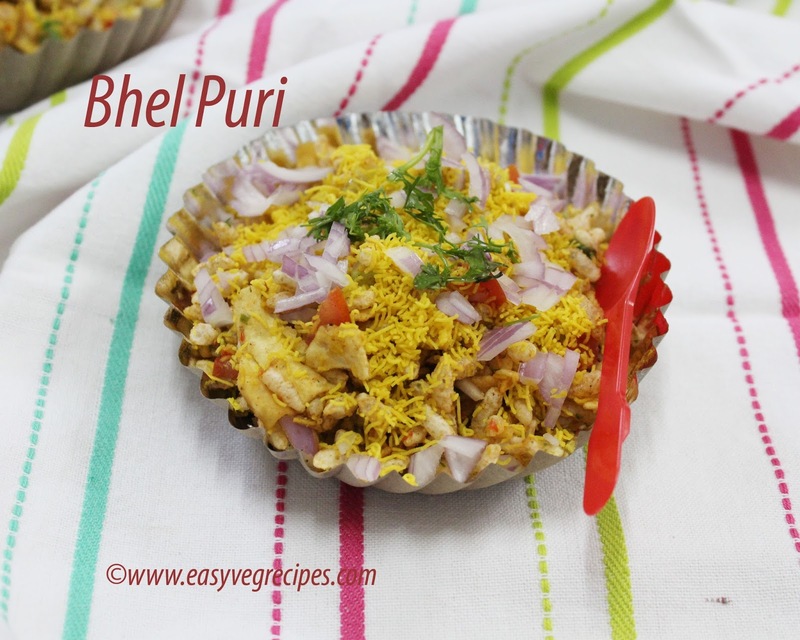 Bhel puri is the most common street food in India. It is a mixture of veggies, spices and chutneys with lot of puffed rice. It has to be consumed immediately. Mostly it is served in cities with beaches like Mumbai, Chennai, Kolkatta and Vizag in India. Authentic bhel puri is served in Mumbai. A very simple and tasty street food. But we need to prepare well in advance. We have to have chutneys like green chutney, sweet chutney. for chat we need to prepare sev and papdi. We can get them from store also. 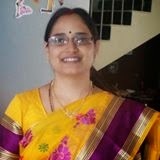 I make papdi and buy sev from the store, so that it will become easy for me to make bhelpuri. Chutneys anyhow will be there in the refrigerator. I have links to green chutney and papdi, so I am giving them here. But sweet chutney notes will be given in the text itself. Chop all the vegetables, onion, tomato and cucumber. Boil potatoes, peel their skin and chop them also. Crush the papdi, chop coriander leaves. Keep the chutneys readily available.. green chutney, sweet chutney and red chutney. Reserve some portion of crushed papdi, sev, chopped onions, chopped coriander leaves and chutneys also. In a large bowl, add all the ingredients, except lemon juice, one after the other. Mix them well with a wide spoon. See to it that all the ingredients mixes well and chutneys coated well with puffed rice. Take 2 tablespoons of bhel puri in serving plate. Drop a spoonful of each chutney green, sweet and red chutney. Garnish it with chopped onions, sev and chopped coriander. Sprinkle drops of lemon juice.